Contact me directly at 504.920.8422. I am a healer of relationships. I believe in a holistic approach to address life’s issues. I am a mirror that observes your desires, goals, obstacles, and patterns and then reflect what I see as barriers that are preventing you from obtaining what you truly want. I work with you to bring more peace, joy, satisfaction, and awareness into your life. I work with individuals, couples, families, children (5-12yrs), and teens. If you are having conflict in your relationships, need help with parenting or co-parenting, experienced trauma, or experiencing any dissatisfaction in your relationships or life in general, I would be honored to work with you. I completed my Master’s of Arts degree in Counseling at the University of Holy Cross (UHC) in 2013. I studied under Dr. Matt Morris to hone my skills of understanding the delicate balance of art and science—which is Counseling. I am continuing my studies towards a PhD in counseling at UHC. 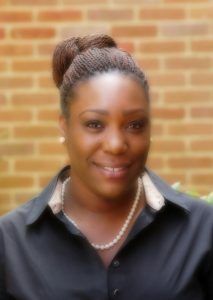 I am a Licensed Professional Counselor (LPC) and Licensed Marriage and Family Therapist (LMFT) in Louisiana. I am also a National Certified Counselor (NCC) and TBRI Practioner (Trust Based Relational Interventionist), which is a fancy way of saying that I have experience working with people and families that experienced trauma. I take a holistic approach to counseling and am a Yoga Instructor for children ages 5-9. I also have years of experience as a Mental Health Professional in schools. I am available to help you navigate the school system and to advocate for your child. I provide consultation for schools which can include professional developments, support and training for staff and administration, and case consultations.